Ducati failed to properly manage its riders during the Malaysian Grand Prix weekend, and so Italian manufacturer's bosses must make clear which are the team's priorities, writes Oriol Puigdemont. Jorge Lorenzo missed his fourth consecutive MotoGP race in Sepang last weekend after assessing his fitness during Friday practice, nine days after undergoing surgery on his fractured left wrist. Obviously, he wasn’t in shape and in second practice he was more than five seconds slower than the fastest rider. 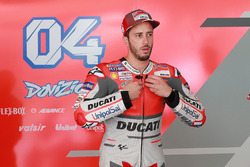 And yet, the Spaniard waited until the moment he got up on Saturday morning to officially grant his seat to Ducati tester Michele Pirro, who the team had already arranged to travel to Malaysia - almost as if it had anticipated the news. Lorenzo managed to complete 22 laps on Friday (on Sunday he was supposed to do a 20-lap race) and considering how slow he was, it was crystal clear he wouldn’t able to achieve any worthwhile result in his condition. The fact that Lorenzo decided to wait one more day to withdraw led to some speculation regarding a hypothetical sanction Ducati could consider imposing on him, as he has missed too many races. Both parties may believe they have strong arguments to reaffirm their positions. 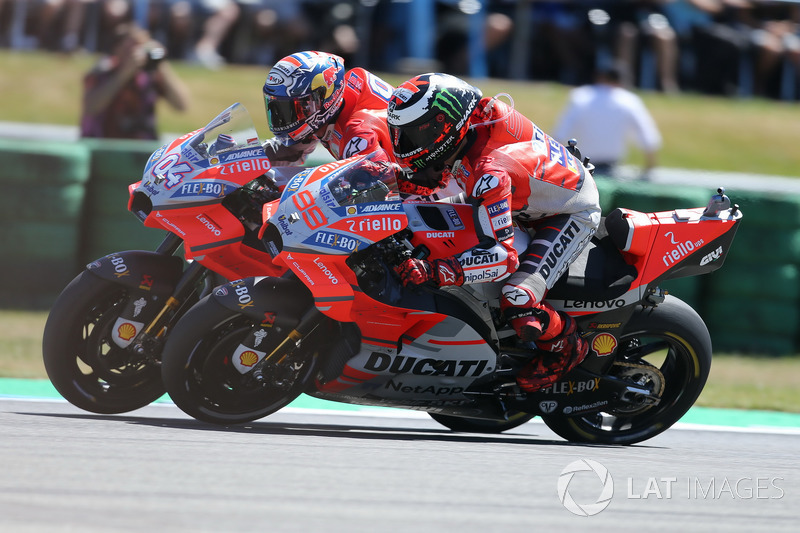 Ducati has now been without the rider it originally signed to be its number one for a quarter of the championship, while Lorenzo himself got injured in Thailand as a result of a bike failure, by the team's own admission. It's fair to wonder, was it necessary to let things get that far? Especially when both parties were aware that the only way to move forward was to have Pirro on board on Lorenzo's bike. 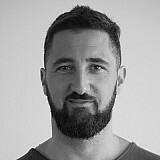 Would it not have been better to simply reach an agreement before, in which Lorenzo’s withdrawal was contemplated? 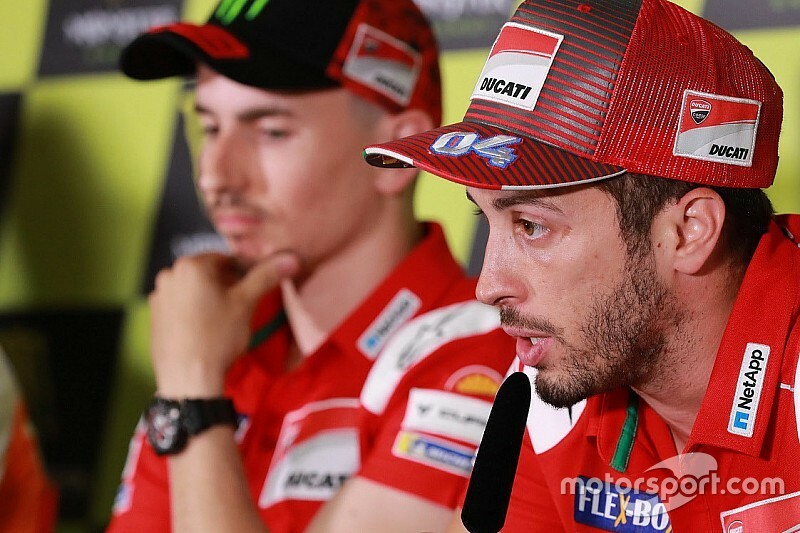 To top it off, Lorenzo and Andrea Dovizioso then starred in yet another clash when the Italian suggested to TV crews that his teammate is a regular visitor of ‘weird situations’, a veiled accusation that provoked a series of taunting tweets from the Spaniard. He labelled Dovizioso as "envious" and ironically described him as "a world champion... in 125cc." Ultimately, the only thing a squabble like that does is to weaken Ducati’s image. It would be a good idea for the team's bosses sit their two riders down, and make it clear that individual egos can never be allowed to trump the collective interest of a brand that's as intrinsic to motorcycle racing as Ferrari is to Formula 1. Miller: Sepang tyre gamble was "educated guess"